Updated: September 1st 2016 When many people think of German Shepherds, they think of a dog which resembles Rin Tin Tin in size and color. While “Rinny” was certainly a great example of a handsome, intelligent GSD, there are plenty of other German Shepherds out there with a look which may surprise you. 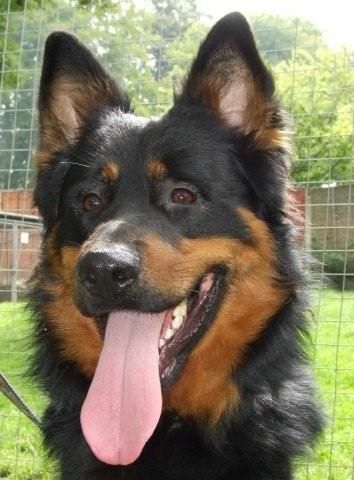 There are many dogs which are a mix between a German Shepherd and another breed. German Shepherds have been successfully mixed with Golden Retrievers, Chows, Labradors, Pugs, Siberian Huskies, Collies, Welsh Corgis, Pitbulls, Rottweilers, Poodles, Chinese Wolves, Akita and more. Many of these mixes bring out the best traits of both breeds. For instance, the Golden Shepherd – a mix between a GSD and a Golden Retriever – has the strength and size of a GS with the swimming ability of a Retriever. The Shug – a combination of a GSD and a Pug – is extremely intelligent. These various GS mixes allow you select specific personality traits for your dog, whether you’re looking for a pet or a work animal. While each mix has different personality traits they all share many similarities with pure GSDs. We'll dive into the details below, but we also put this info into a pawsome German Shepherd Mixes infographic. You may think you know German Shepherds, but we bet a least a few of these breeds will surprise you! This infographic was created by Shepped.com. German Shepherds have bloodlines that date back to the late 1800’s, and have continuously been bred to help place a higher emphasis on these traits, constantly evolving them into an amazing working breed that’s sought out around the world. Keen Sense Of Smell: German Shepherds, with their long snout, have some of the most developed senses of smell out of any other breed of dog. This makes them perfect for sniffing out bombs, drugs, and other hazardous materials. ​Always Suspicious: German Shepherds don’t tend to trust their surroundings, which makes them perfect for watch and protection dogs. They’re always suspicious and can usually sense danger before their handlers ever have a clue it existed. ​Amazing Versatility: German Shepherds adapt to any situation you can throw them into. When you couple this versatility with their high levels of intelligence, and loyalty, it’s easy to see why they’re always put into working situations. Endless Energy: German Shepherds seem to never get tired. This is one of the traits that drew farm owners to use them as herding dogs throughout the years. Thankfully, most German Shepherds have these traits ingrained into their DNA and come ready to tackle any obstacle you throw in their way. There are other breeds of dogs, though, that have their own unique traits that blend in perfectly with the German Shepherd’s natural abilities, to unleash a completely new personality. Over the years, people have begun breeding German Shepherds with these other mixes to come up with some amazing “mutts” that have been given a name of their own. The “Golden Shepherd” takes the best qualities from the Golden Retriever and intertwines them with the best qualities from the German Shepherd. An amazing herding and sporting hybrid helps tame some of the German Shepherd’s more aggressive tendencies and turn them into a more loving, family dog. It doesn’t completely tame them, though, because Golden Retrievers are known for being high energy, excellent swimmers that are obedient and eager to learn. This makes them perfect for tracking, hunting, retrieving, guarding, obedience, and search and rescue roles. Chows are known for being incredibly witty, curious, and clever. Their most common roles are for hunting and protection or guarding of prized possessions. When you combine the Chow Chow’s natural protection instincts with the German Shepherd’s suspicious nature, you get a dog that is always on guard. Thankfully, though, Chows love to please their master, and German Shepherds are as loyal as they come. This means that your family will always be safe when you have a Chow Shepherd around. You will want to make sure they’re well socialized, though, because Chow Shepherds can be overly protective at times, if they’re not socialized with other pets, kids, and family members. Labradors are easy to train, eager to learn, and are amazing with kids. They tend to have lower energy levels, which balances out the German Shepherd’s high energy in an amazing way. The combination makes them great with kids, and they’re always playful, and affectionate. They tend to get along with other pets well, and will stay alert throughout the night, giving you the best of both breeds in a well-balanced hybrid. The “Shug” is an odd mix of the two: German Shepherds and Pugs. The combination brings together the German Shepherd’s size, and the Pug’s loving nature to give you a hybrid animal that’s smaller than the German Shepherd, but loves to cuddle and snuggle just as much as a pug. Pugs tend to bark more often than most breeds, so it’s something you’ll have to expect when you combine the two. 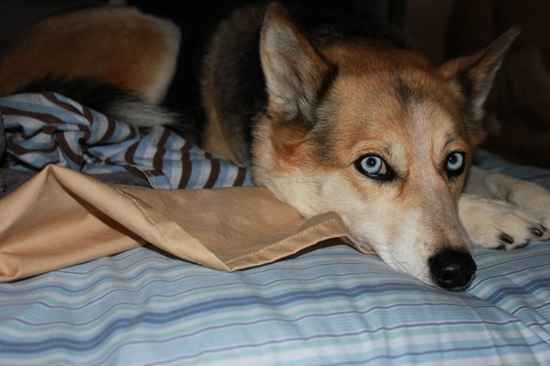 Otherwise known as the Gerberian Shepsky, the German Shepherd, and Siberian Husky mix is both intelligent and obedient. Both being larger breeds, you should expect to have a dog that weighs between 50 to 80 pounds when they’re full grown. With a thicker coat, these hybrids are also not the greatest for warmer climates. They’re both incredibly loyal, intelligent, and energetic, though, so you can expect them to be very social and at home when they’re surrounded by your family. 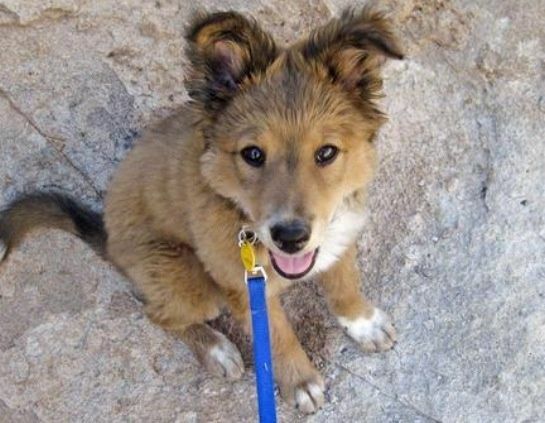 The Shollie is a mix between the German Shepherd and a Collie. They’re known for being alert, cheerful, and energetic, and have a friendly, loving disposition to them. With both German Shepherds and Collies being used for herding purposes, you’ll want to make sure that you have time to give them ample exercise. They are easy to train and are eager to please. 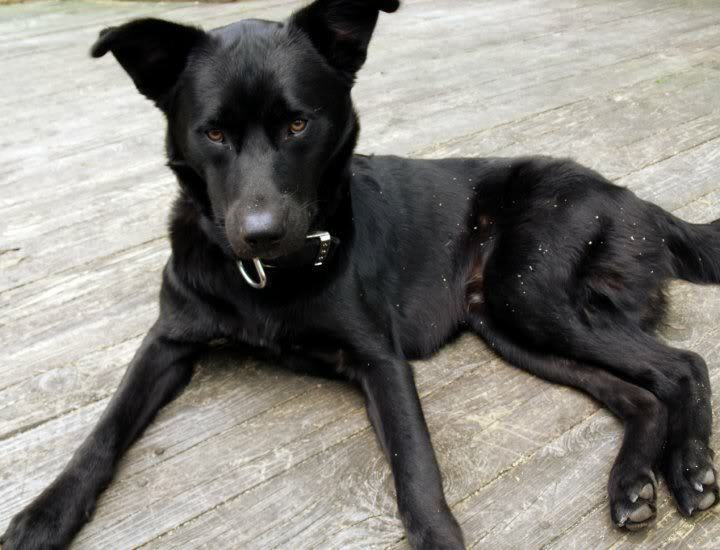 The Corman Shepherd is another odd hybrid, but one that comes together perfectly. 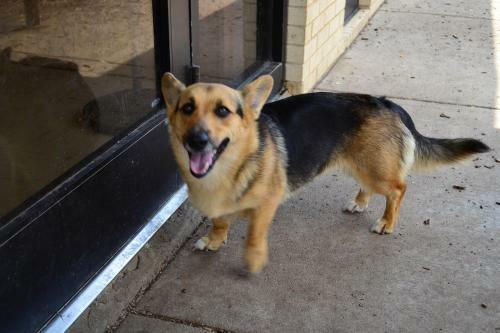 It’s a mix between Corgies and German Shepherds, which means that, on average, they’re going to be substantially smaller than a standard German Shepherd. Corgies tend to be dominant dogs, despite their size, so you’ll have to keep your wits about you when you bring one into your family. If given the chance, they will assume the role of alpha, and your work will be cut out for you. When you combine their dominant nature with the German Shepherd’s stubborn streak, you have a recipe for disaster, unless you’re just as dominant and strong willed. 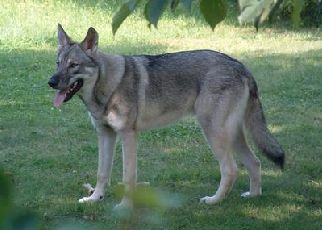 This is a hybrid that combines the German Shepherd with the Pitbull Terrier. With a Pitbull’s protective nature, you’re going to need to make sure that the dog is well socialized, and that you have a firm nature and disposition. The Pitbull breed has a natural tenaciousness about them, and when you couple it with the German Shepherd’s high energy levels, you’ll need to provide them with plenty of exercise and interaction with your family. When you do, though, they’ll be one of the most loyal animals you could imagine, and you’ll be rewarded with a fearless dog that puts your well-being over their own safety. When it comes to protection and guarding, there’s no better mix than the German Shepherd and the Rottweiler. These dogs tend to get larger than average, though, weighing anywhere between 70 pounds to 120 pounds, so you’ll need to be prepared for their size before you purchase one. The combination of the two breeds, though, produces a hybrid that will reward their owner for becoming the alpha and give them an animal that’s brave, calm, and confident, with enough energy to be ready to go at a moment’s notice. Shepadoodles are a combination of the German Shepherd and Labradoodle, and bring together very unique personalities into a hybrid that is highly intelligent and an absolute joy to be around. They’re larger in size, weighing between 50 and 80 pounds, and have just as much fun chasing a ball around the park as they do bringing their big body on the couch to cuddle with you. 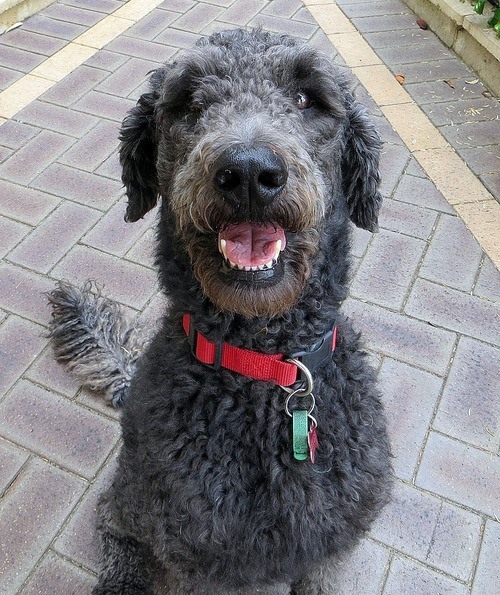 The Labradoodle mix is one of the few that actually curtails the German Shepherd’s natural shedding, so if you’re looking for a low maintenance breed, the Shepadoodle is a perfect choice. The Wolf Shepherd mix is as close to a wild animal as you can get, while still retaining their domesticated traits that make them amazing companions. If you choose a Wolf Shepherd as your companion, though, you’re going to need to spend the first 18 months of their life putting yourself into the alpha role, because if you don’t, they’ll take it from you once they get older. When they understand who is the pack leader, though, you’ll be rewarded with a dog that is in touch with their wild heritage, but just as eager to please as the German Shepherds we know today. It makes for a very unique combination, and produces some very beautiful animals. The Shepkita is a mix between the German Shepherd and an Akita. 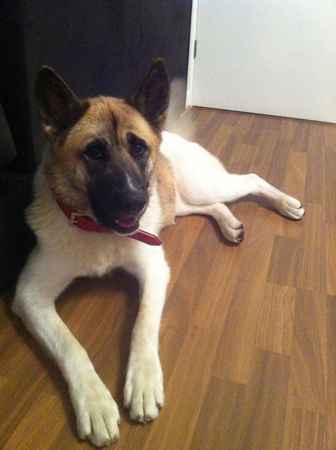 Akitas are known for being good family dogs, and great with children, but also have a bit of a stubborn streak to them. 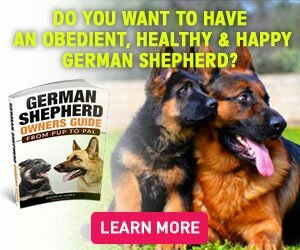 When combined with the German Shepherd’s stubbornness, you’re going to have to make sure you take a firm, confident approach to their training. Being larger, high energy dogs, you’re also going to want to make sure that they receive plenty of exercise. When you do, you’ll end up with a well-trained, protective dog that loves being a part of your pack. 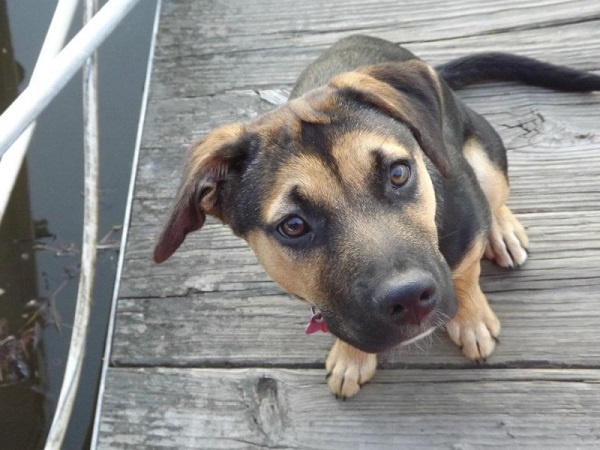 Are there any other German Shepherd mixes out there that are not listed in our article? Please let us know in the comments section.